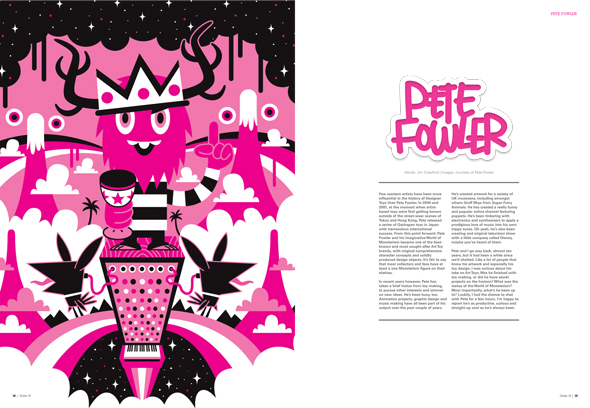 Clutter Magazine Issue #16 is coming soon, and it looks to be a REALLY stellar issue, featuring everyone's favorite toy bootlegger and reality show loser, the Sucklord! 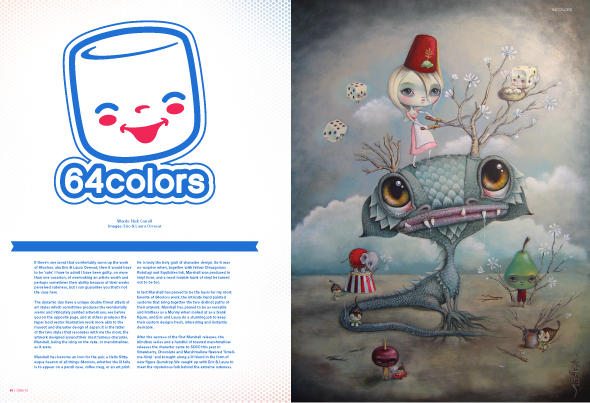 Also featured: 64colors, FriendsWithYou, Pete Fowler, Paul Shih, Josh Herbonisheimer, and many more artist interviews, stories & editorials. Cover price is $9.99. We still have one or two copies of Issues 15 left in stock here. 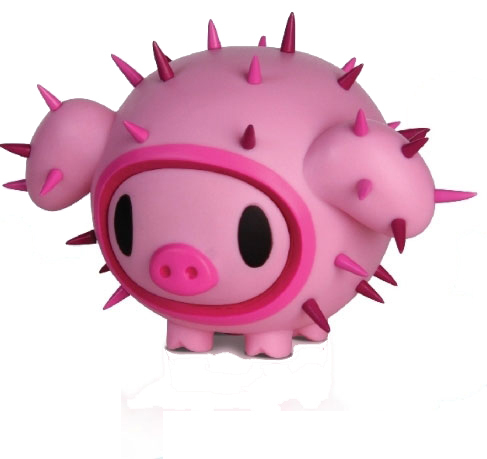 Everybody's favorite spikey pink porkball, Porcino, is in stock now! The newest vinyl figure from tokidoki is 3" tall and costs just $12.95. 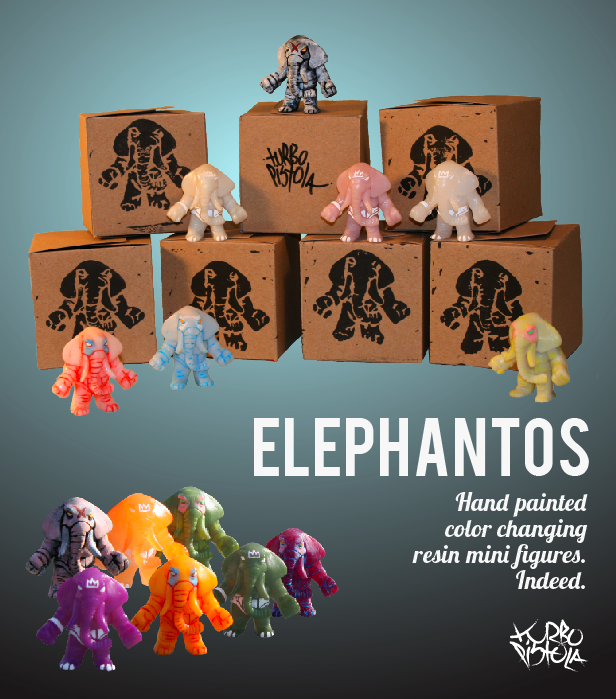 Daniel Smith aka turboPISTOLA shares with us his most recent resin figure release: the Elephantos. This is his second wave of the 2.5" resin Elephantos figures, and this time he used Solar Dust in his resin to make it change color. Pretty cool! There are 7 different figures in this wave. 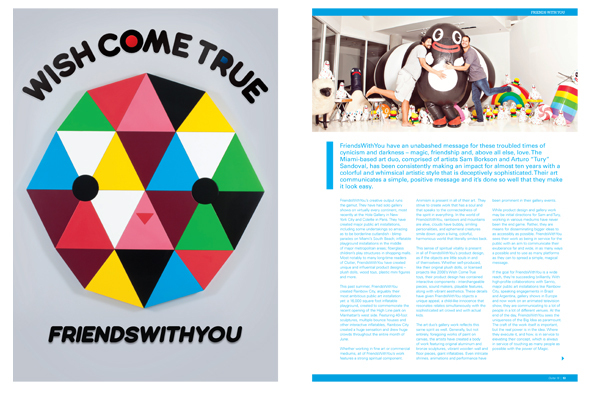 You can purchase an Elephanto figure for $25 each in the turboPISTOLA shop, and be sure to follow Daniel on Twitter.